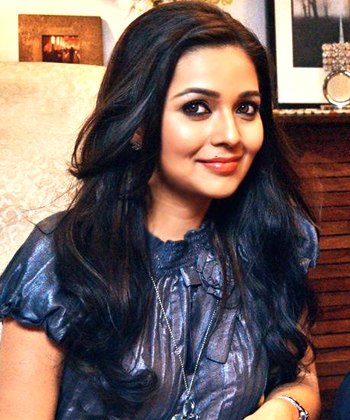 Mansi Srivastava is a known TV actress and popular over the small screen. She hails from Mumbai only wherein she was born and brought up at. She was born on 21st September 1990 and had her schooling and college from this city only. However, many claim that she was actually born in Gurgaon and then shifted to Mumbai with her parents. She then went on to do her schooling from Little Flower Convent along while did her college from KC College. She has been active in her life with several plays and theatre. Soon when she started her interest in this field she got the chance to work in TV with a show called Suvreen Guggal – Topper of The Year playing Jasleen Guggal (Baby) in it. Then she was seen in Rab Se Sohna Isshq as Heer, which followed Arjun as Payal Verma, and Do Dil Bandhe Ek Dori Se as Shivani Rana Seharia. Since then it was no looking back for her which include Peterson Hill as Shatabdi, Darr Sabko Lagta Hai as Aditi as ‘Nanny’, Neeli Chatri Waale as Goddess Parvati, Sasural Simar Ka as Dr. Prerna, Yeh Hai Aashiqui as Amrita, and wth Pyaar Tune Kya Kiya as Suhana she did a lot of buzz in the media while playing in the TV show MTV Big F.
She then did Dil Boley Oberoi as Bhavya Pratap Rathore, along with Ishqbaaaz (2017-) as Bhavya Pratap Rathore. She also appeared in Fear Files as Anika. Now talking about her current show, she is still seen in Ishqbaaaz which she is doing since 2017 as Bhavya Rudra Singh Oberoi. In the TV show, she happens to be youngest daughter-in-law of Oberois playing opposite Leenesh Mattoo.